It is not very often that the Editor pulls rank on AERBT’s distinguished Motoring Correspondent. Ted Wilkinson has been earning a living this way for 40 years and is, of course, a member of the British Guild of Motoring Writers. But when an invitation from Jaguar Land Rover arrives offering a day driving a variety of their best at the Gaydon National Heritage Motor Centre it is not to be turned down. Some prestigious oldies were included too. And let’s put a marker down. 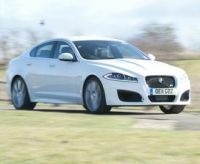 Your Editor owns a 2.7 Jaguar XF and is delighted with it, getting on for four years old now and 40,000 miles. Jaguar was founded by Bill Lyons in Blackpool in 1922. Rover goes back to 1904 with the first Land Rover produced in 1947. Today both companies are owned by Tata Motors of India who have proved to be an industrious and forward looking proprietor. Last year Jaguar Land Rover produced 274,280 vehicles, a 17.8% increase on 2010, in itself a record figure. Gaydon is in essence mostly a collection of what was British Leyland but includes cars from Ford, Lotus, Morgan, Vauxhall, and others. Sitting by the M40 it is by itself a fine day out. Within the site, a former RAF bomber base, is a Jaguar development facility, the Aston Martin production factory, and a private test track. These were off limits. Jaguar/Land Rover had done their homework. Fifty journalists and 26 different models to drive on public roads. As far as we know no cars were bent and whilst police were noticed in the area, speeding and other offences do not appear to have been recorded. The highlight of the day had to be a self-drive trip around Gaydon’s punishing off-the-road test circuit, with seemingly near vertical muddy hills and deep water troughs, one after the other. Brave instructors sat with nervous (experienced) drivers who were told to put it in that gear and this, not to touch the brakes, and just keep it straight when climbing a hill with no forward visibility. The Land Rover Discovery 4x4 takes it all in its stride never missing a beat. 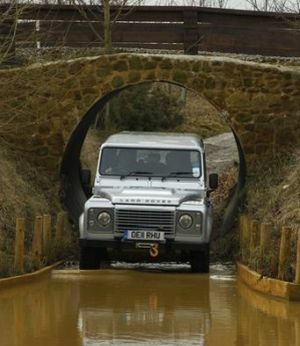 It may not be the prettiest motor vehicle around but the Discovery has now sold one million copies. The test course shows why. It copes where others can’t. You too can try the circuit for a fee and there are many similar offerings around. But this one is the approved Land Rover circuit. 1938 SS Jaguar 100 2 ½ litre. Let us start at the beginning. The media were not allowed to drive the historic cars. Just being treated to an exhilarating drive around the local roads by retired Jaguar staff clearly enjoying their day out was a privilege. The SS Jaguar (the name was dropped when production got back to normal after the War) could do 0-60mph in less than 9 seconds, very respectable even by today’s standards. It was the cheapest 100mph car in Britain at the time. All agreed that as a passenger it was very draughty with the hood down on a cold February day. 1958 Jaguar XK150 3.4 litre DHC. Like all Jaguars the original XK turned heads in its time and was remarkable value. Some 30,000 were built. It offered disc brakes, developed by Dunlop for the Jaguar C series at Le Mans. Even today it gives a very fine ride in real comfort. Production models could do 130mph, legal on the roads of the 1950s. The engine seemed as smooth as ever, the gearbox clearly dated and showing just how far we have come in that area. 1969 Jaguar E-Type series 2. 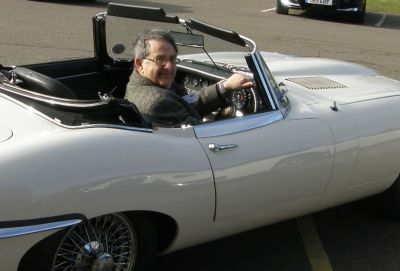 Enzio Ferrari said it was the prettiest car of all time and the E Type is still the standard by which others are judged. Just sitting on one makes you feel great and styling wise the car has not aged at all. With the greatest respect to Brigit Bardot, one of the earliest celebrity patrons, this lady has not aged at all as far as looks are concerned. In fact being driven around in it is a joy. 70,000 were built, it had a top speed of 150 mph and could do 0-60 in 7 seconds. Land Rover Evogue. The latest Merseyside baby Land Rover has had rave reviews and just a week or so back at Geneva a convertible was announced. It certainly has the looks and you can buy two- and four-door versions. Of all the cars on test this one was not for your Editor. That’s why we employ a motoring expert for him to compare with the competition (But Jaguar please note the editor would be delighted to take one on loan for a report). It was seemingly narrow, and whilst it had fine grip is not for belting around runabouts, and noisier than the other cars on test. 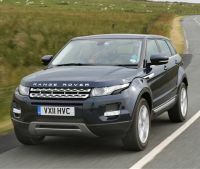 Perhaps it is not fair to compare it with the Range Rover and at a starting price of £27,955.00 offers terrific value. It is Jaguar/Range Rover quality inside and four-wheel drive. Rover has got the way of building off the road vehicles down to a fine art. XJ 3.0 ltr standard wheel base diesel. In some ways this is the best car of the lot. 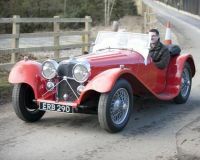 It just oozes power, has lovely lightweight steering and is fitted out like a gentleman’s carriage, 21st century model. From the driver’s position you cannot of course see the split screen which allows passengers to watch TV whilst sitting in the front seat but if you are used to the smaller, and excellent, XF don’t worry about the baulk of the larger car. There’s a TV monitor for rear parking and various audio appliances scream at you if there is anything in the proximity. Yes the start button is hidden behind the steering wheel but once found is not forgotten. £55,515.00 is the tax paid UK price for the basic car limited to 150mph. 2.2L XF diesel Premium Luxury. This car offers remarkable value and is well on the way to becoming Jaguar’s top selling car of all time. Your Editor was sceptical, as already mentioned, a happy owner of a 2.7 XF. However the eight-speed auto box with its sequential shift is superb, absolutely smooth. 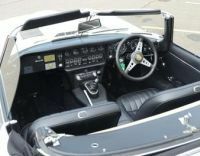 Play about with the steering wheel paddles and all the acceleration needed is available. Whilst Jaguar claim over 50mpg, 40 plus to the gallon should be easily obtainable. The starting price is £29,950 and even with plenty of ‘toys’ added it will still come in at less than the original XF in 2008. It looks the part and has just been joined by the XF Sportsbrake. It is what we used to call an estate car!